Winners of the first round of MTN 4G taking over promo have received mouth-watering prizes in Kumasi. The main awards for the day were a brand new each of a Hyundai Sonata, Elantra, Accent and i10 Grand Executive won in ascending order by lucky customers from various parts of the country. Other prize winners took home various brands of smartphones including iPhone 8, while one of them also won a whopping five thousand Ghana cedis. 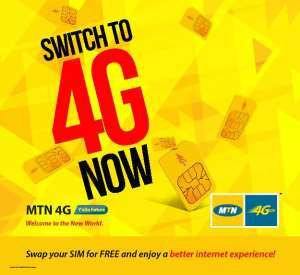 The Acting General Manager for MTN Northern Business District, Nii Adotey Mingle told Today Newspaper that the promo was being held to stimulate the usage of 4G in the country. Being the only network in Ghana that has 4G, he noted that it was worthwhile exciting customers to begin using it in order for them to experience the joy in using 4G. According to him, it was also part of their efforts to continue rewarding their customers. He announced that the ultimate prize is a two-bedroom Devtraco House. The sales manager of the Northern Business District of MTN explained that the promo is essentially an accumulation of points. “It’s a points allocation system. When you spend on SMS and voice, you get 1 point, when you spend on data and other financial services you get 2 points. When you accrue your points to a certain level, whoever has the highest at the cut-off point has won.” he explained. 4G wireless is the term used to describe the Fourth-Generation of wireless cellular service being used in advanced countries. The main difference between this and the earlier generations is the speed with which users access the internet.